Recently, I have been doing a lot of shopping online looking for different advertising options for both my blog and for my media company. I want something which is going to be worthwhile that other members on my team will want and will sport proudly. I have just been so bored with the traditional business cards and stickers which everyone seems to toss in the trash anyway. They are wasteful and honestly make very little of an impression usually. A lot of people may not think so but blogging is a full time job. It takes a ton of dedication and time. On top of my normal THREE blogs, I also have my own media company which is filled with a team of awesome bloggers. This takes time to both manage and help each team member as well as the brands who come to me for support. I was very happy to discover the company Build a Sign a while back and all the unique products they had to offer. 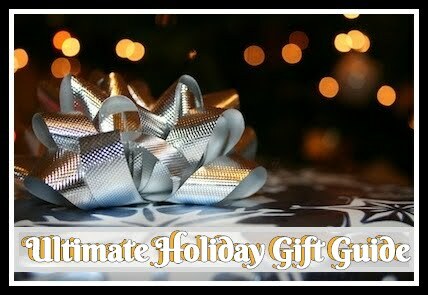 I do not have the time right now to first shop around for a unique and best competitively priced product. Second, I don't have time to use an online creator which takes tons of time, learning, re-sizing, etc. just to build a good piece of advertisement (whatever it may be). Build a Sign is not your typical online print store! You can easily create custom prints of all kinds and even more. 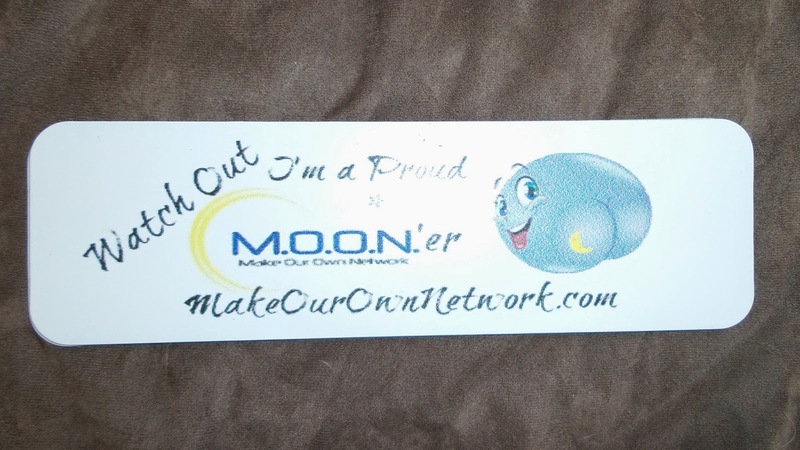 Whether you actually want a set of business cards or stickers OR something even more unique like a bumper magnet, license plate, or window cling, designing it is going to be super easy! Because my blogger media company 'Make Our Own Network' is quite the group of "unique" individuals who are in no way shy, I knew I had to come up with something quite creative. 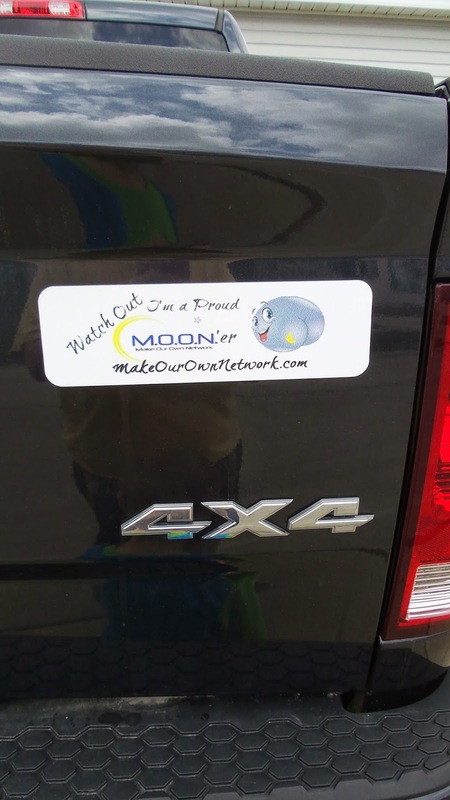 I used my MOON'ing Moon cartoon and created a humorous bumper sticker magnet to show our pride. Everything was super simple from using my own graphic to adding text and it all even printed and shipped within a reasonable time. I was super pumped since I had a fun event coming up with my group and this would be a perfect way to reward the members as well as show off some of my snarky creativity! My only complaint is that I should have chosen a bigger magnet size and the text didn't print as dark as the preview. The wording is a bit difficult to read from the car behind and I had to trace the writing with permanent marker to bold it a bit. 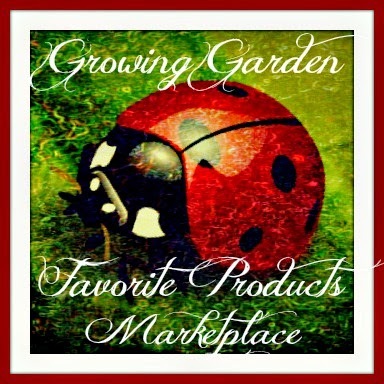 Recommendation: Very efficient company with lots of options for each service they provide. Although I love these and think they are different that the norm, I wasn't super happy with how they came out for this price point but again that could have been my own mistake. 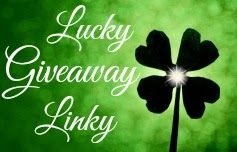 Giveaway: Build a Sign is going to give one of A Lucky Ladybug's lucky readers a $25 gift code to get something of their own! Cards. She is an artist and needs to advertise. These are great! I have wanted to get a sign for my kids while they are learning to drive, something like Student Driver to put on what ever car we are using at the time! I would select a car magnet for my daughter's business!!! I love the just married car magnet! I would get a car magnet that says Just Married because I am getting married later this year! I do like blog and your instagram photos too! I really really need new business cards!! I would build a sign for my husbands company that he owns. He sells toys and has an online and storefront at our house. He currently does not have any sign with his company name so this would be perfect! Business cards would be nice. I would use this credit toward a custom feather flag. My dad sells pumpkins in the fall and this would look great and draw a lot of attention.